International Reggae Day Festival 2009 will presented as a virtual global reggae party highlighting the power and impact of Jamaican music on the world by combining the power of music, media and technology to create a marketing platform for things Jamaican and the global reggae culture. 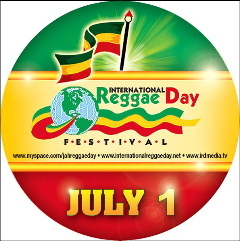 The IRD website at www.internationalreggaeday.net along with complimentary Facebook, Myspace and You Tube social network sites, will anchor the festival’s Internet and media programming activities including new releases, mp3s and music business features. IRD will launch a Music Business Forum on its website as part of its effort to encourage year round traffic to the site which will be updated monthly video posts from international music professionals about various topics affecting the growth and development of Jamaican music, industry documents, blogs, links and a monthly newsletter highlighting key areas of the global music business, market trends and profiles.